If you go out there and your main purpose is to get a sponsor, then it's not gonna work. Just go out there and have fun. That's how I got sponsored. I've cut down on a lot of stuff this summer, just so I can hang out and be a normal kid for a while. 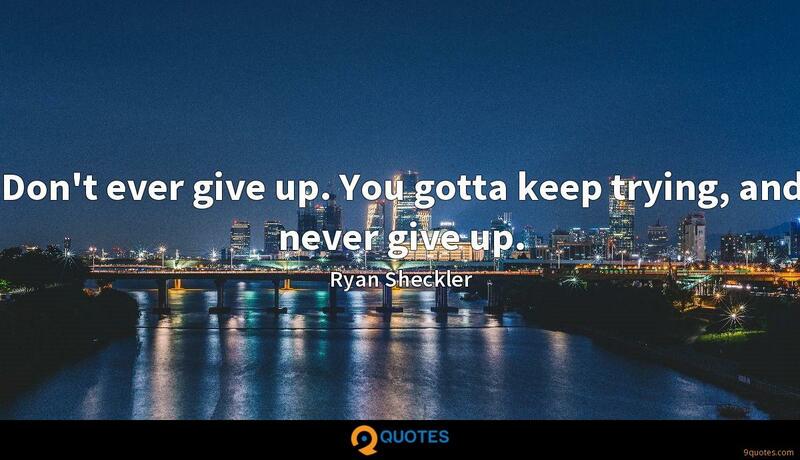 Don't ever give up. You gotta keep trying, and never give up. 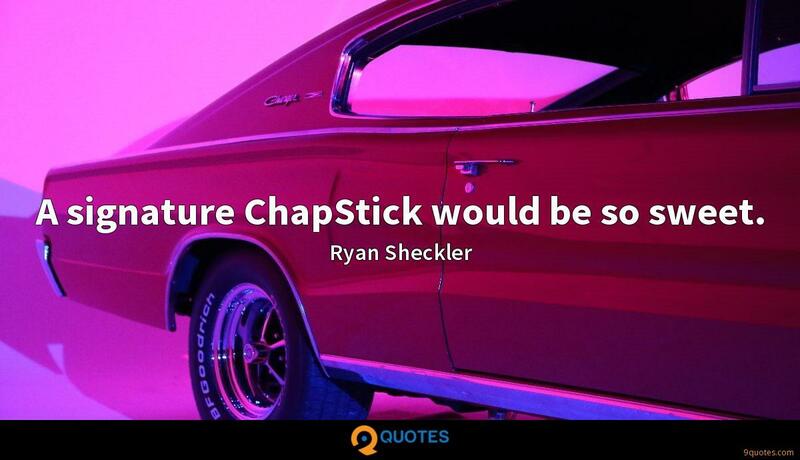 A signature ChapStick would be so sweet. 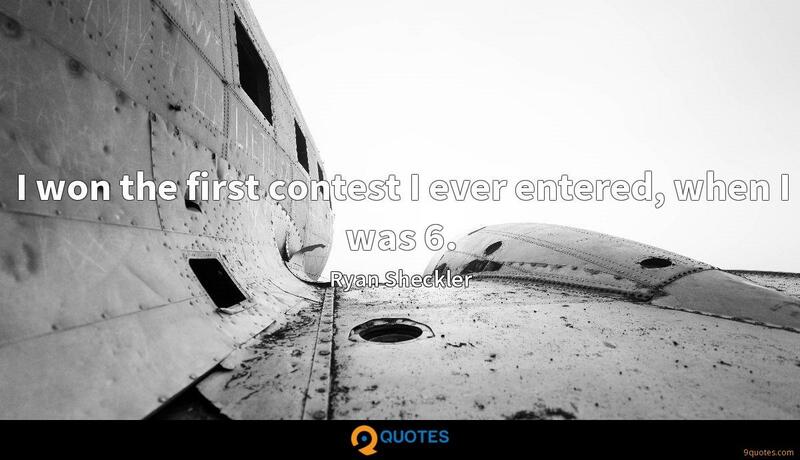 I won the first contest I ever entered, when I was 6. 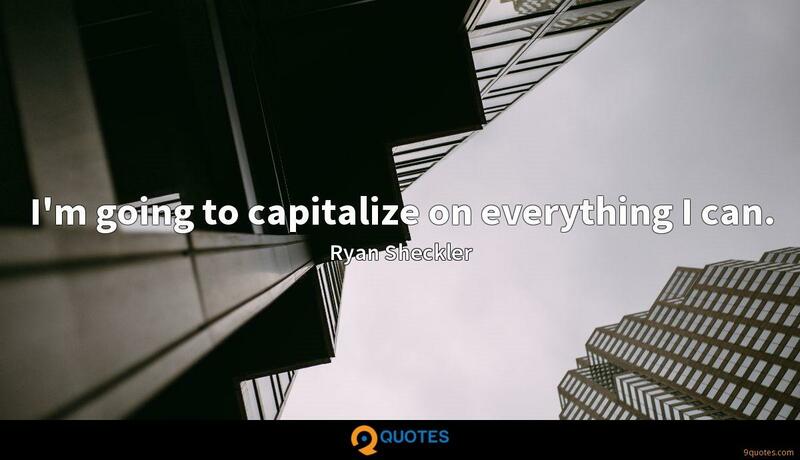 I'm going to capitalize on everything I can. 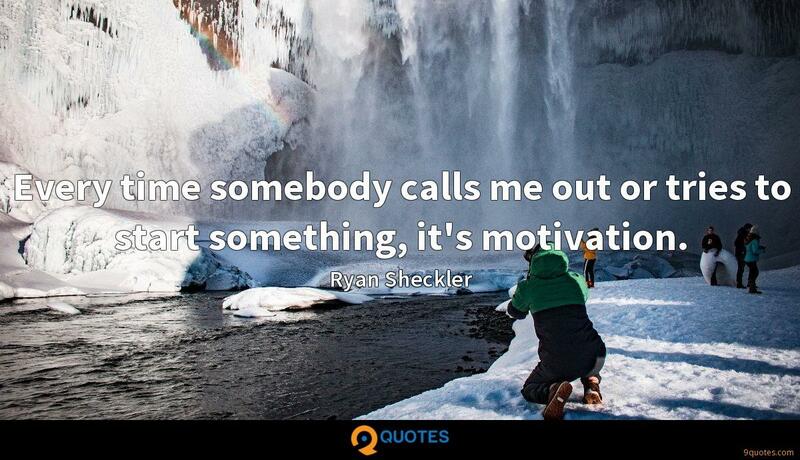 Every time somebody calls me out or tries to start something, it's motivation. This is something I've always wanted to do- to skate through a part of New York City that thousands of people ride through every week, feeling the energy of one of the original stomping grounds of street skating. These fans are there to support me, and I'm so appreciative of that. I just want to keep things going. I just love testing myself. My life path has been a blessing and a great learning experience. Skateboarding is my passion and I don't see that changing. When I'm not skating, I love to surf. I'm open to the new experiences and opportunities. For me, skateboarding is a lifestyle. I really don't know anything different. My life revolves around skating. 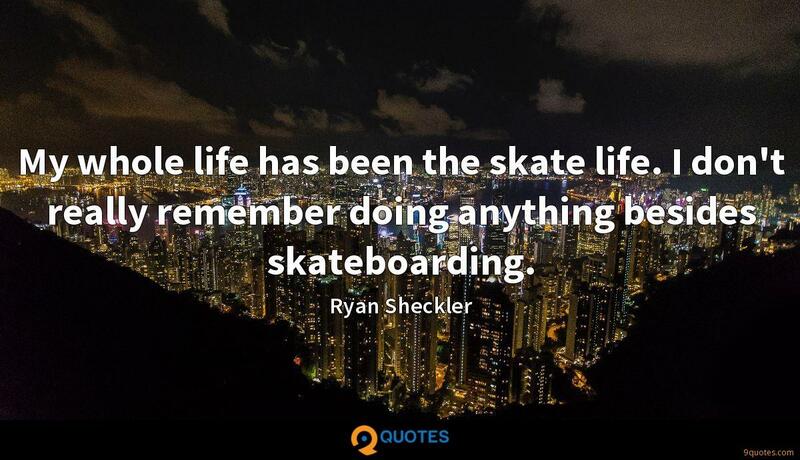 If I wasn't a professional skateboarder, I'd still be skating every day. Whatever sport you choose, do it because you love it, and don't expect to be an expert first thing. It takes time to do well at anything, but if you love it, you'll stick with it. 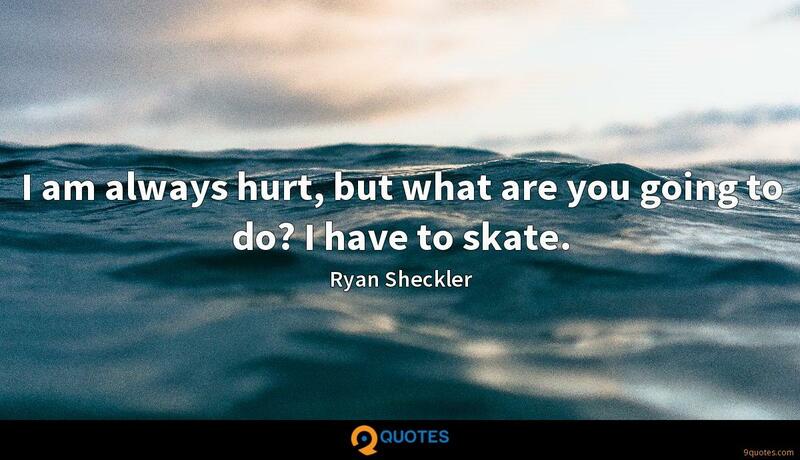 I am so grateful to everybody that supports the Sheckler Foundation, and gives us the ability to continue to help kids and injured action sports athletes. I know exactly what I'm doing when I'm doing a trick. I really hate it when I fail. If I weren't skateboarding, I'd love to race cars. I like anything that's fast and active. 'Thrasher' magazine's Skater of the Year is clearly my No. 1 goal. The only way I get that is skating. 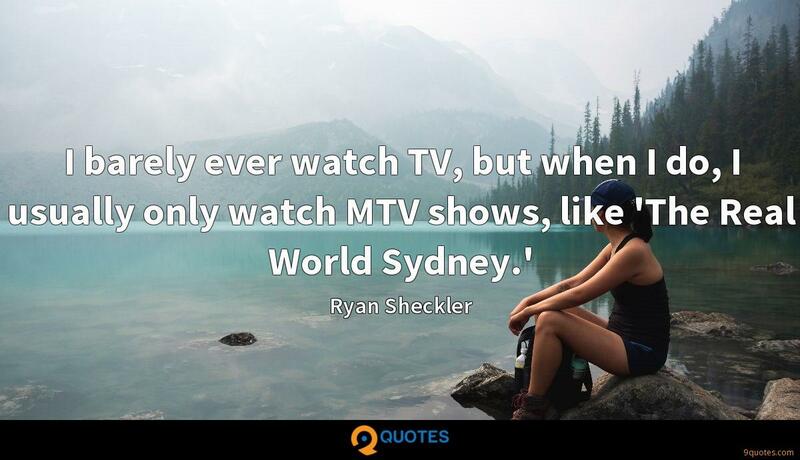 Other than that, I haven't set that many outrageous goals. If I got Skater of the Year, that would just really add to it all and make me feel really good. Whether it's this year, next year or five years from now, that is my goal. Hopefully, kids realize you can do anything you want. 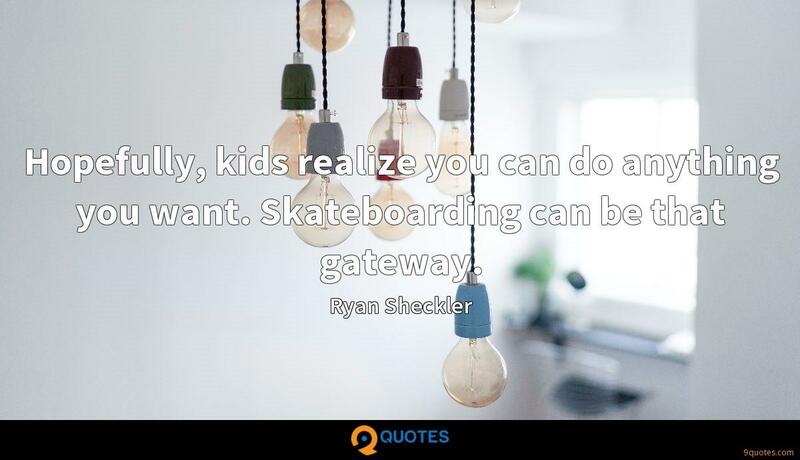 Skateboarding can be that gateway. When I was 5 years old, hanging out with my friends who were all older than me, like 8 or 9, I was joking around like, 'Yeah, when I'm 20 that's a perfect age to go pro.' That's what I had in my head. Then I turn pro at 13. It's all been a mystery and its all been awesome. I don't really have a type. 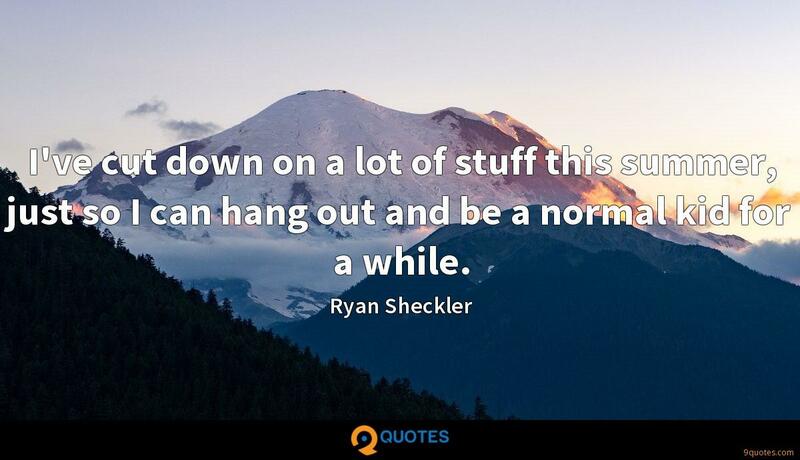 I just kind of hang out with girls that I think have a good personality, know how to have fun, active and definitely have something going on in their life so they are busy so I'm not stuck all the time hanging out. I am always hurt, but what are you going to do? I have to skate. No one can tell me what to do on my skateboard. My skateboard is my safe spot. I can learn tricks, I can have fun, I can do whatever I want on my skateboard. I'm always trying to figure out ways to one up everyone, and that's what I love about competitions. I love challenging myself and pushing the envelope. The way I look at tricks is if I really have my mind set on one, I'm going to learn it until I can do it 10 or 20 times in a row. I want to perfect it. I skate a lot with my shirt off, so working out has always been important to me. I almost have as much fun working out as I do skating. And seeing your body change, and seeing yourself get bigger and more toned and cut, makes a big difference in how you feel about yourself. I am a skateboarder, and to stay fit for skating I have to stay away from a lot of things. I go to parties and that's fun for me, but between skating and lifting and everything, I know what I have to do the next day, so I'm very conscious about my schedule and keeping it.